NEWPORT NEWS, Va., April 8, 2010 -- Northrop Grumman Corporation (NYSE:NOC) hosted a tour and construction update briefing for Mrs. Donna Willard, the sponsor of California (SSN 781) on March 22. 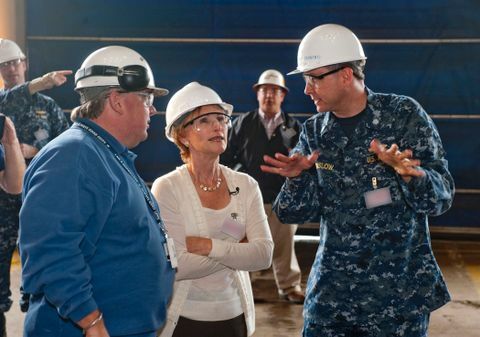 During the tour, she also met with ship's crew and shipbuilders who are building California . Mrs. Willard is the wife of Adm. Robert F. Willard, the Commander of the U.S. Pacific Command. "To see the scope of work that's been done and to see a submarine under construction; it's a once in a lifetime experience," said Willard. "I wish everyone could see the work and the pride that goes into building one. It's overwhelming." California is 75 percent complete and approaching the construction milestone of "pressure hull complete" this spring. Pressure hull complete signifies the hull sections will be joined to form a single unit. It is the last major module-level milestone and denotes the beginning of the full ship system integration work and testing, as well as preparation for the ship's christening and launch later this year. "It's always nice to show off the quality work of our shipbuilders to such an enthusiastic sponsor," said Bob Bolden, construction director at Northrop Grumman Shipbuilding-Newport News. "We're looking forward to Mrs. Willard's return when we christen the ship later this year." California , the eighth ship of the Virginia class, is named after the "Golden State." It is being constructed at the company's Shipbuilding sector in Newport News, Va. The ship's keel was laid in May 2009. Once delivered to the Navy in 2011, California will be the most modern and sophisticated attack submarine in the world, providing undersea supremacy well into the 21st century. 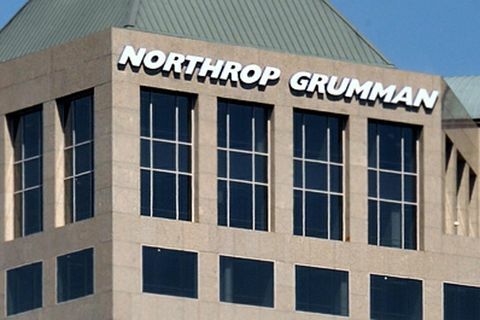 Northrop Grumman Shipbuilding is teamed with General Dynamics Electric Boat to build Virginia class submarines.